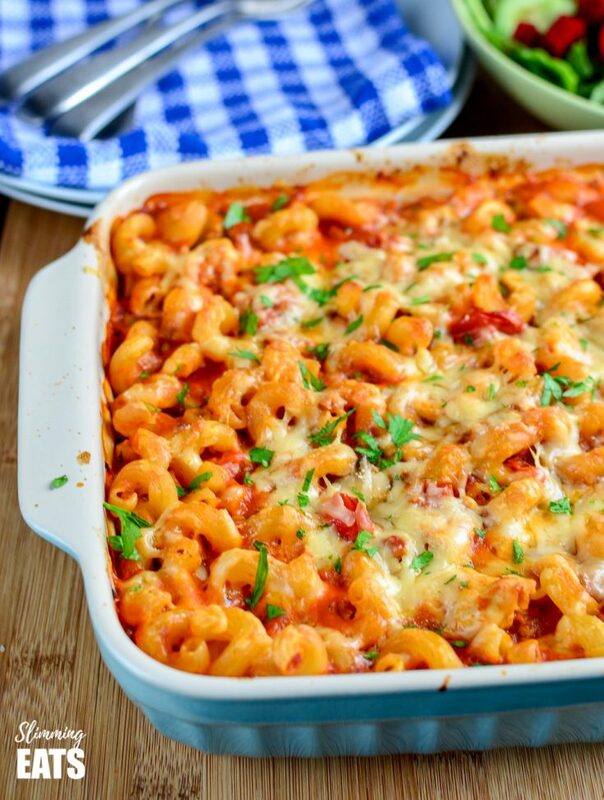 Chicken Bacon and Tomato Pasta Bake – one of the best family-friendly pasta bakes EVER!! This was one of those recipes that kind of came about by accident. You know the ones I mean right? 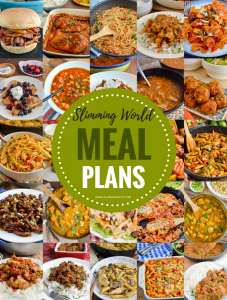 The ones where you look in your fridge for inspiration for dinner, grab a few ingredients, mix together and voila a meal. Sometimes those creations can be a disaster, but then there are times when the end result is so delicious, you want to make it again the next day. I mean you can’t really go wrong with bacon, chicken, tomatoes, pasta and cheese. Well, you possibly could, but you’d have to really try. This is a real family pleaser and one I go back to again and again, as I know my whole family love it. It can also be made gluten-free but using gluten-free pasta. I like to use brown rice pasta, as I find it is the closest to regular pasta. But there are various other varieties out there. 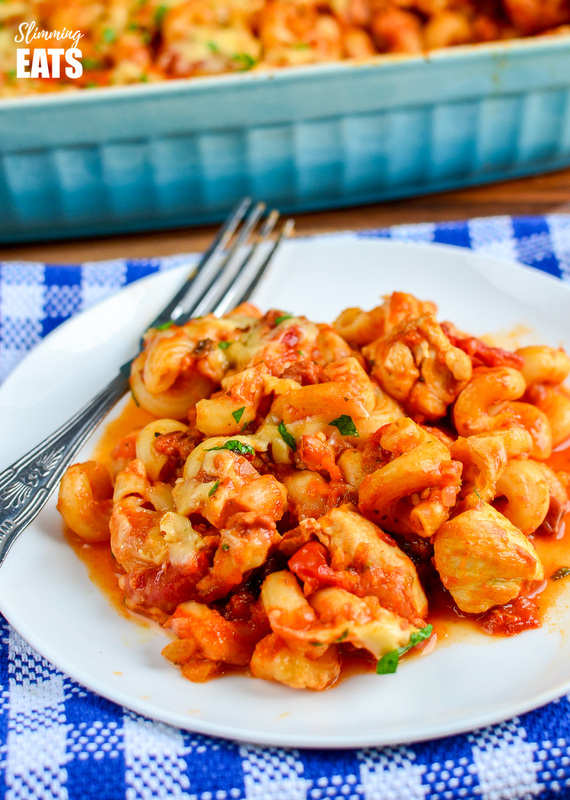 How can I add a 1/3 speed foods to this delicious Chicken, Bacon and Tomato Pasta Bake? There are some speed vegetables including in the pasta bake, but I like to pair this up with a big mixed salad of baby leaves, cucumber, tomato and beetroot for some additional speed foods. 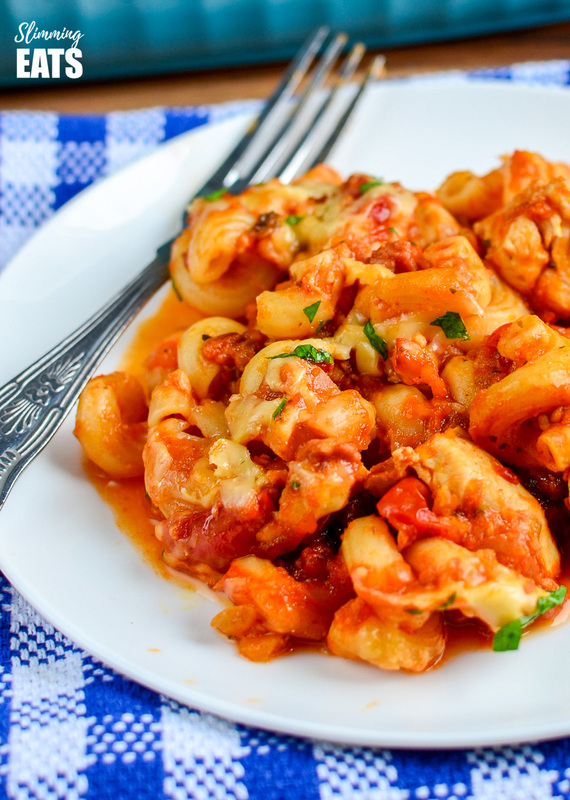 What Kitchen Items do I need to make this Chicken, Bacon and Tomato Pasta Bake? 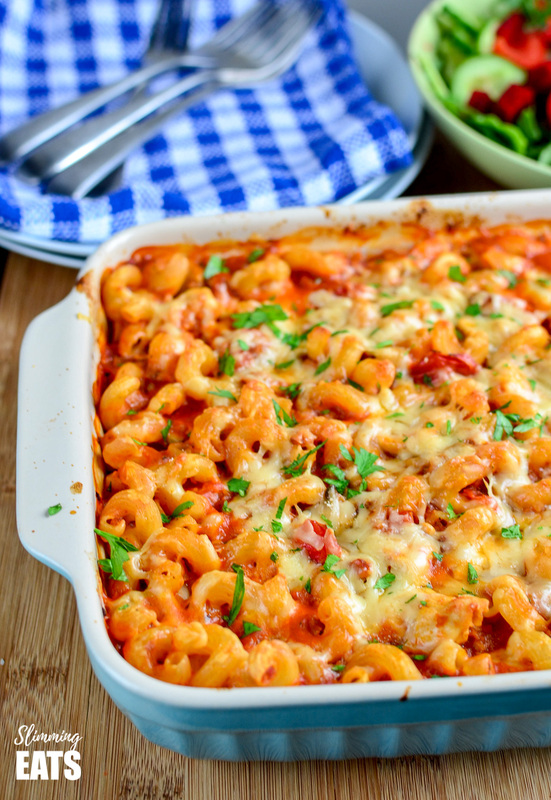 Chicken Bacon and Tomato Pasta Bake - one of the best family-friendly pasta bakes EVER!! Place pasta into a saucepan of boiling hot water and cook until al dente, drain and rinse with cold water to prevent from cooking further. Spray a frying pan with some spray oil add, the chicken and cook until golden brown and set aside. Add the onion, garlic and bacon and brown for 2 mins. Add the passata, stock, balsamic vinegar, Tabasco, tomato puree and oregano and bring to the boil then reduce the heat. Simmer, covered for about 30mins. Add the mixture to a casserole dish, along with the pasta and chicken, season with salt and pepper and top with cheddar, then bake in the oven for approx 30mins until the cheese on top is melted and golden. Hi, I’ve just cooked your pasta bake for my dinner tonight it was so tasty I ate all of it! Yum! 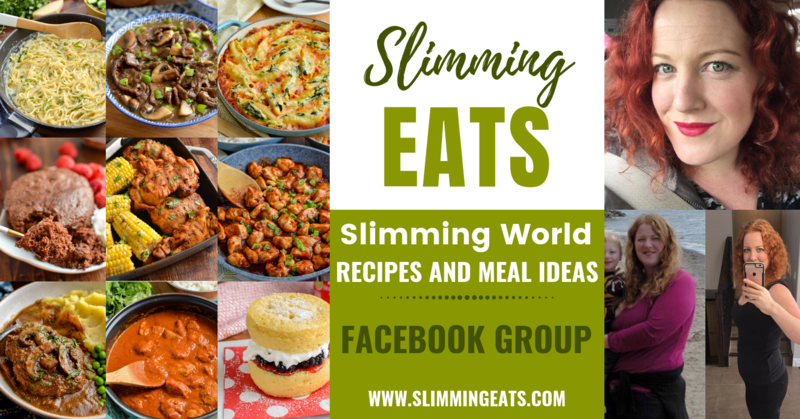 I’ve been going to a sw group for a few months and lost 1 stone 1 and1/2 lbs. I’m so glad I found your brilliant website! I’ve told all my sw friends about it and we’re all excited! Thankyou. I cooked this tonight and it was delicious! I simplified it slightly by just chucking all the sauce ingredients in together rather than seperating the chicken, and I used cheddar rather than mozzarella, but otherwise as written. Thanks! Looking forward to trying this next week! Just one question though, if the tom puree is 1 syn and the whole recipe is 1 syn, what about the mozzarella cheese? Well this was amazing! Something magical happened to the sauce while it was simmering. I usually have to add sugar and all sorts of condiments to tomato sauce but this didn’t have the usual bitterness so was perfect! the weeekend. It was so tasty, and went down a treat with my family.So I will be certainly be cooking this a lot more often. Where do u buy the passata Siobhan? Do you cook the chicken before adding it? Hi Carrie, yes you do, you fry till golden, as per the instructions 🙂 – hope that helps. Sorry, I missed that bit! Making this tomorrow, thank you. Done this today. Absolutely georgous. Me and my 11 yr old son polished off a dish full each and there are 2 portions in the freezer. Definately recommend and will make again. Thanks for the recipie. Made this yesterday for dinner. It was delicious, and husband who says he doesn’t like pasta bakes, had seconds. TBH I didn’t have courgette but did have a leek so used that instead. Will definitely be making this again. Another fabulous dish thank you. 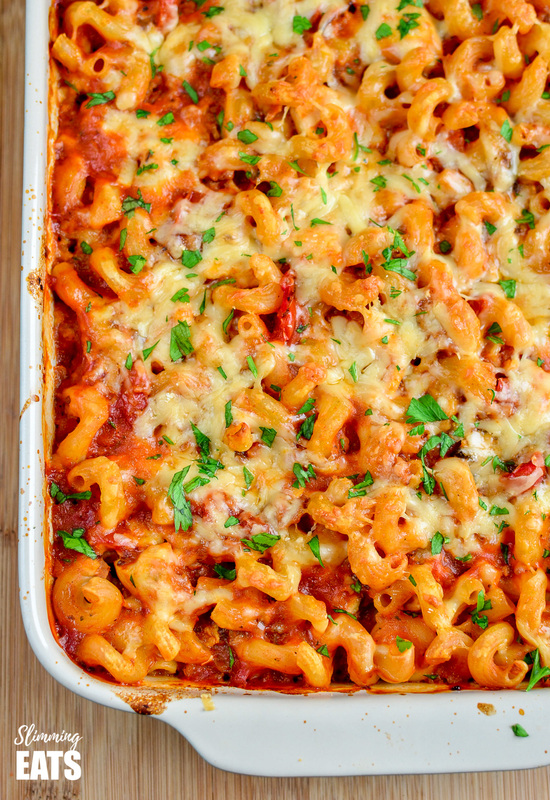 We made this pasta bake tonight and it was delish! I really enjoyed this, we used wholegrain fusilli pasta! Adding the tobacco and balsamic vinegar makes the sauce so much more yum! Will defo be making this one a week! Made this tonight and it was really lovely and a total hit with the family. Forgot to put the courgette in but it was still amazing, Thanks for sharing another wonderful recipe. For some reason I cannot give it a star rating but if I could it would be 5 out of 5. For some reason I cannot give it a star rating but if I could it would be 5 out of 5.. Made this tonight and it was really lovely and a total hit with the family. Forgot to put the courgette in but it was still amazing, Thanks for sharing another wonderful recipe. So happy to hear it was a hit with the family. I’m sorry to hear the rating feature wasn’t working for you, you should just be able to click the number of stars you want to give and it comes through with your comment, but I will look into why it might not be working. It’s a family favourite, so I am really happy to hear you enjoyed it. Thank you for taking the time to comment. I’m thinking of making this on Monday, but I’m quite lazy. Do you think it would be ok if I made it using chicken thighs (I have some that need using up) and put all the ingredients minus the pasta into a slow cooker before mixing together in the casserole dish and adding cheese? Sounds okay to me, should work fine. Let me know how it turns out. Made this last night using Turkey breasts that I wanted to use up, I also ran out of Tobacco sauce, so used just a tsp of Chilli powder instead…. It all came out great and was a hit with everyone. Will certainly make it again.